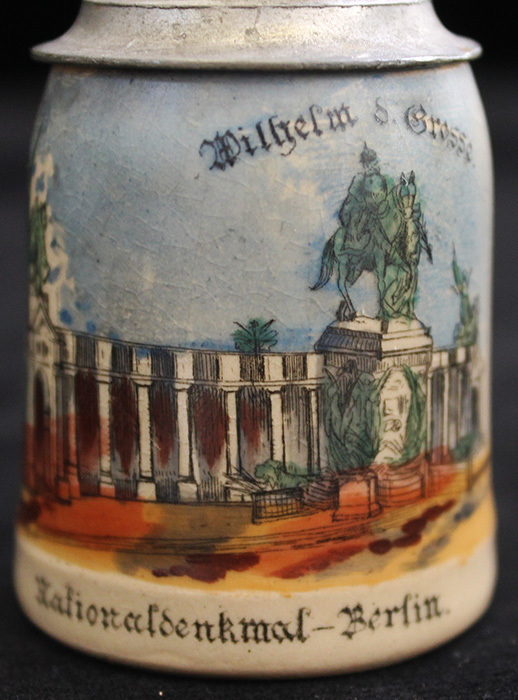 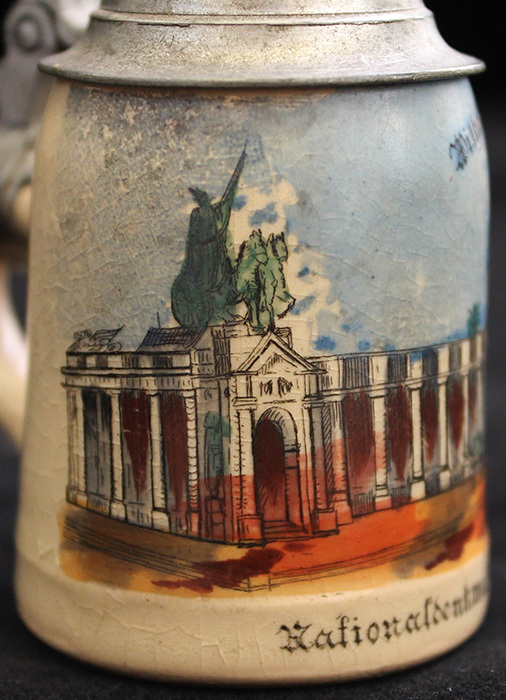 ARTIFACT: Great circa 1900 miniature stein transfer-decorated with the Nationaldenkmal in Berlin and the Statue of Wilhelm the Great. 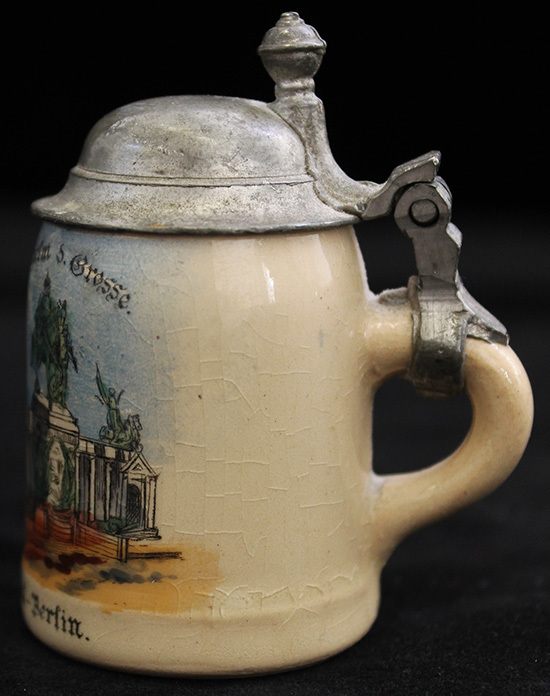 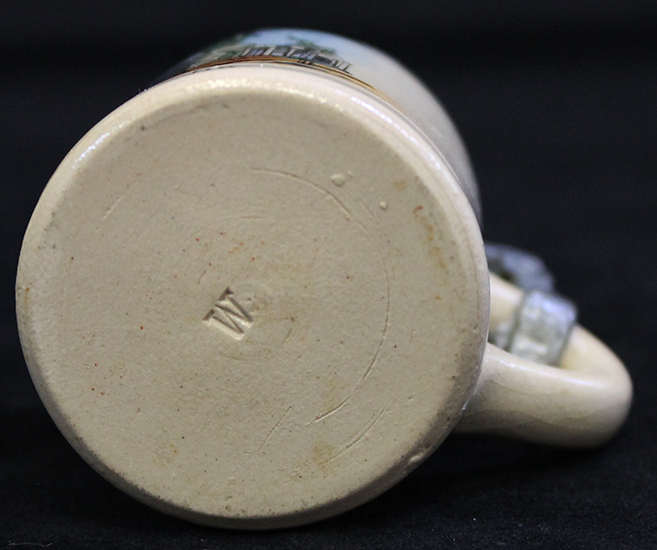 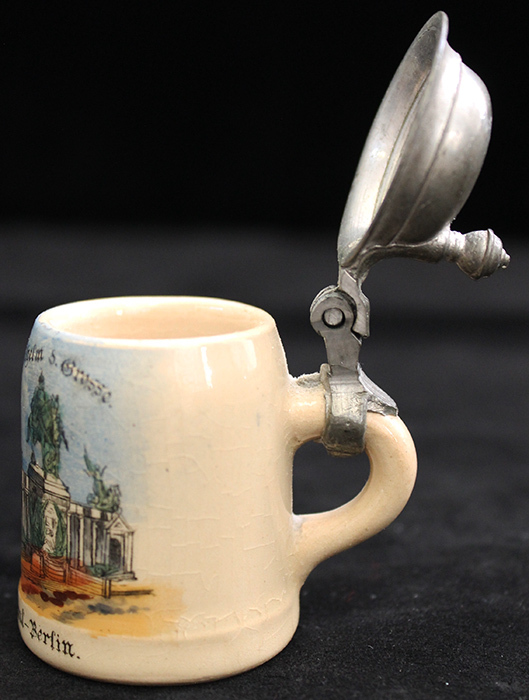 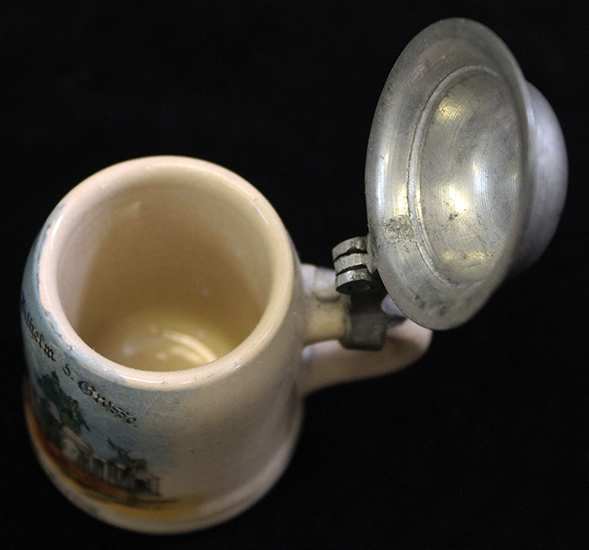 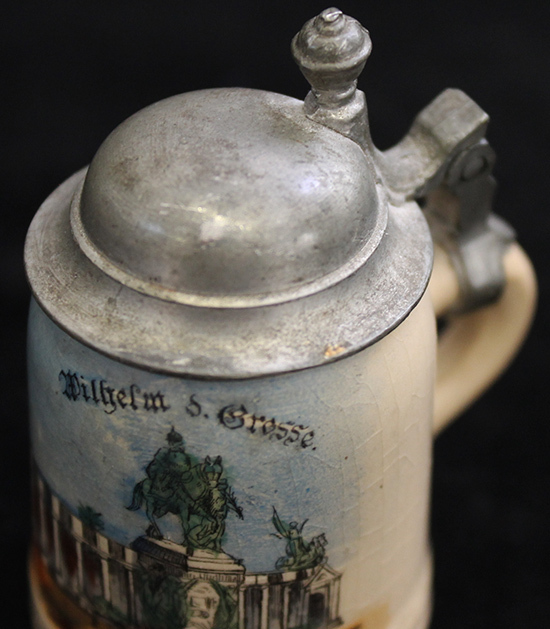 The stein is made of stoneware and the original pewter lid remains intact, the surface glaze has cracked with age. 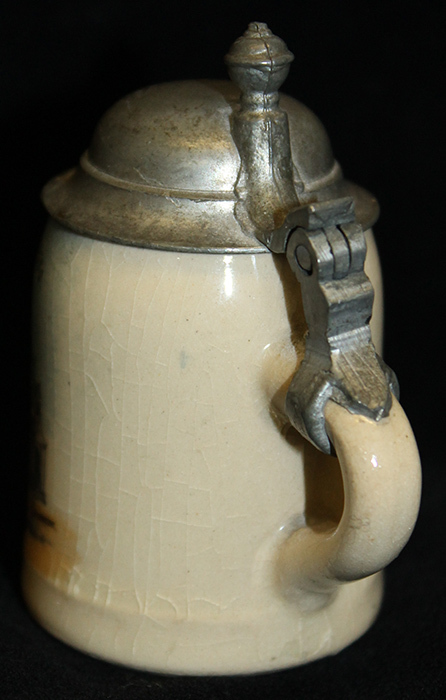 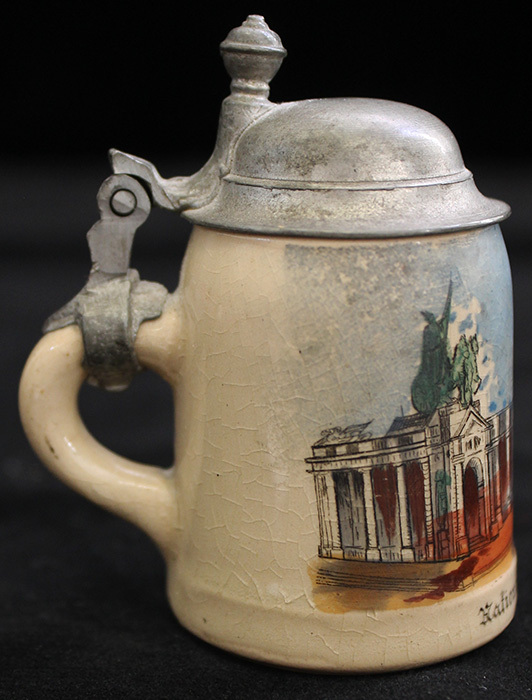 CONDITION: 7- (Very Fine-): The stein shows moderate to heavy surface wear especially to glaze, much of the transfer image remains intact, as does original pewter lid.